Tuxedo Frame Gallery is here to meet all of your custom framing needs. We take great pride in the craftsmanship and design that goes into every frame. Although the selection and design process can be quite overwhelming at first, be assured that our knowledgeable designers are here to answer all of your questions, and are pleased to explain and guide you through every step. Here at T.F. Gallery, we carry a selection of over 1,000 mouldings and hundreds of mats. You will find experienced design personnel on staff. Our designers work closely with you during the design phase to create a clear specification of your project. A typical process begins with us asking you a few questions to get started. 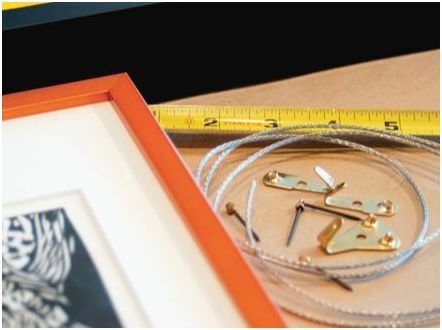 We often ask about your framing preferences such as frame style and size, where you plan on hanging the frame, some background information about the art or picture, if relevant. Then we will normally show you different mat and frame combinations, until we find “the one.” And from there we will proceed to creating a frame you can display and cherish for years to come. We are dedicated to providing the best service and craftsmanship you can find, and are not satisfied until you are too! This is our promise to you. You can also be assured that when you leave your treasures with us, they are handled with great care and sensitivity. Our experienced framers use state-of-the-art archival framing methods that help protect your artwork and heirloom photographs the same way museums protect their valuable art. We use acid free/ lignen free mat boards, archival mounting, conservation grade glazing, and cutting edge techniques. And your completed frame is wrapped with the same love and care. We provide hanging hardware on the back of every frame we create, so you can carry your framed treasures home safely, hang them securely and enjoy them for years to come! Stop by and let us show you what framing craftsmanship and originality can bring to your artwork.